100% Pure Long Last Brows! What's up my honey bunnies! 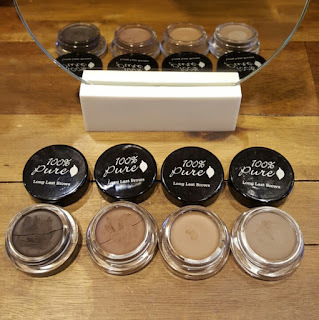 A few weeks ago I posted about a great deal that 100% Pure was having on their new brow product, the Long Last Brows. I of course, took advantage of that sale and bought the shade soft brown. I got a free brow brush with that purchase too! 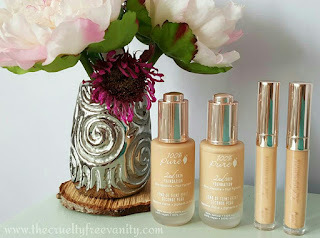 I've been using it ever since I got it in the mail and I have my review ready for all of you who were asking for my thoughts on this product. Let's start with the brow gel itself, like I said I got the shade Soft Brown which works great with my hair color. It's not too warm and not too dark, my natural hair color is medium brown with some orange-y tones. With that type of hair color, I can get away with true brown shades and even reddish shades. Anyway, it matches great, if I do a light application I get a natural look but if I add two layers my brows look bolder and darker. 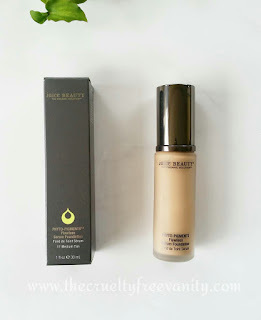 The pigmentation is awesome, the texture is creamy but not too creamy, it sets to a matte-ish powder like finish. It goes on smoothly, and it is pretty long lasting. I did a beauty no no the other day, I slept with my makeup on. When I woke I my brows still looked great! So far I'm loving the brow gel, did I mentioned that it's vegan, cruelty-free, and natural? Well yes, it is! 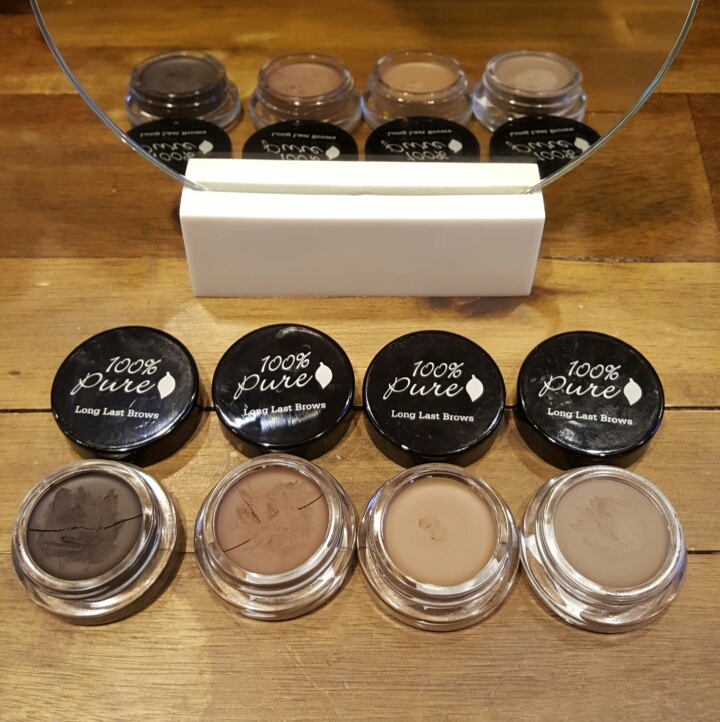 Pigmented with cocoa beans & black tea leaves, and ingredients that condition your brow hair, cool right? It really does help me create "brows on fleek" brows. 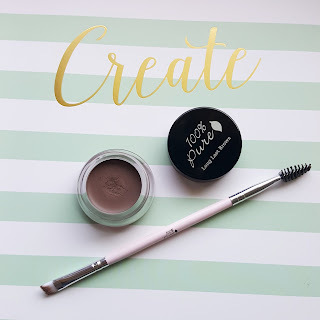 I'm able to fill & shape my brows really nicely, the best part is that it sets! Trust me you don't want a brow cream or gel that does not set, it will come off quickly or smear if you touch it. Some women have compared it to the Anatasia dipbrow, but of course, this one has better ingredients. I can't attest to this because I have not tried the Anatasia dipbrow since it's not natural. I don't have any cons for the brow gel, it really is an awesome product. The only thing is that there are not enough shades, currently there are only 4 shades. Blonde, Taupe, Soft Brown & Medium Brown. And medium brown is more like a dark brown. 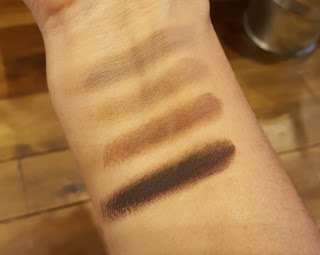 I have some swatches for you to help you out. It would be cool to see more shades like cool tones, and shades for redheads, and even more ashy colors. Hopefully, more shades can be added in the near future, that way more people are able to try it. I also have a video on my YouTube channel showing this brow product in action. You can watch it here. Now let's talk about the dual ended brow brush which was the gift with purchase. You can always trust that I will be honest about my reviews, so with that being said the brush is not my favorite. I don't recommend it, the angled brush part is nice but not the best I've used, and the spoolie is rough and stiff. It scratches my eyebrow skin when I use it, even if I lightly pass it through. I was thinking that maybe it's because my brow hair is thin and short, but who knows. Alright, dolls hope this quick review helps you out. If you have any more questions don't be shy and ask away. P.S. Remeber to shop cruelty-free! ***I purchased this with my own money. This post contains affiliate links if a purchase is made using these links I will get a small percentage, thanks! All opinions/thoughts are honest and my own.